Ellie is expecting her boyfriend, Warner, to ask her to marry him. But she’s too ‘blonde’ for him, his family, and his intended career. He tells her that he needs some-one serious. So Elle decides to get serious, go to Harvard, and study law like him. The east coast doesn’t know what hit it when perky, west coast, fashion major, Elle arrives. She’s full of colour, blitz, and naivety when she enters the ‘dog eat dog’ world of law. 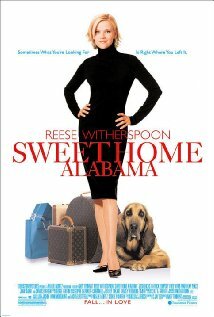 But Elle uses her own set of smarts to win her a place in a law firm, defend a murder suspect, and win her man. I do remember watching Legally Blonde when it first came out in 2001. And I remember being surprised that I could enjoy a film where women are portrayed in such extremes – blonde, stupid, and sexually desirable; or non-blonde, smart and good to marry. But it is a light and frivolous film, nevertheless, that tries a little bit to turn the stereotypes on their head (but let’s not kid ourselves, it didn’t really do that, just lightened the mood a bit). At the start of the 21st Century, romantic comedy films often sported a lead female who was beautiful, successful, but ditzy. Katherine Heigl played a few of these roles – her character had a flaw like being clumsy, messy, or slightly neurotic. A flaw that may mean: a) she needs to be rescued; or b) she is less ‘perfect’ so not a threat to her potential mate. These flaws can knock a woman down a peg or two. But rom coms moved away from this type of character after about 2007. Female leads started to have other problems, but weren’t dumb or ditzy anymore. This was a role for the support female – the best friend, the sister, the workmate, or the housemate. Legally Blonde is full of potential theorising and deconstruction. But if left alone, it’s a bit of fun, colourfully acted, and worth another watch, perhaps this time with the kids! Witherspoon plays Lauren, a woman looking for love. She meets and starts to date two guys at once – FDR and Tuck. Unbeknownst to her, they are best friends and CIA agents. Both decide to vie for Lauren’s affections – and let the best man win. Dirty tactics are employed during their ‘operation’ as both men want to win her heart and prove themselves better than the other. As a side line, a real CIA operation is going down involving FDR and Tuck, eventually also involving Lauren. 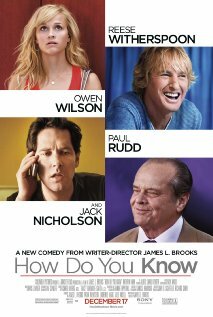 This isn’t the first movie where Witherspoon has to chose between two men – see How Do You Know. And just like How Do You Know, one is a good boy, and one is a bad boy. And, in keeping with one of the most popular rom com themes, the bad boy becomes good. Why is the bad boy who becomes good more desirable? Possibly because women gain a degree of power if they change him. Witherspoon should perhaps work with Katherine Heigl for her next rom com action film. Because unlike Heigl’s recent movie One for the Money, this one was a stinker. The fact that the love interests were CIA agents seemed to be incidental to the story, and it really should have meant more. A bit of action was thrown in there at the end to jazz it up, but it was all too late. Dumb, dumb and dumber. Didn’t like it at all. Sorry Reece. Southern gal, Melanie Carmichael, is making it big in New York with her own fashion label. She is set to marry her very slick boyfriend, Andrew, who is from a high profile political family. But first she has to go home (to Alabama) to tell her family…and to get a divorce! Going ‘home’ means Mel starts to think about her life and who she has become. Trying to block out the past sometimes backfires. There are a lot of people who tie her to the south, and maybe one of them is her old flame, Jake. If there are still feelings between them, then Mel can’t possibly marry Andrew. This is a great rom com that can be watched again, as it still holds its own over a decade since it came out. Witherspoon is suited to rom coms, and she is supported by some great names like Candice Bergen, Mary Kay Place, and Fred Ward. Josh Lucas is divine – he’s the quintessential ‘bad boy makes good’ which has become one of the strongest themes amongst 21st Century romantic comedies. If you haven’t seen it, you should – it’s a rom com staple.